If I could have a rose made for you what colour would I choose? Would the colour be the simple red that matches your heart and mine? Would the colour be pink for Your lips so soft and smooth? 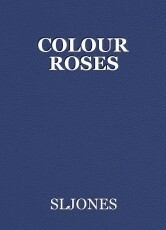 Would the colour be a white rose breathes of love? Would the colour be grey You are my pillar my stone of strength? Would the colour be orange from Burning touches Soft words of passion and lust? Would the colour be bronze just like the tan all over your amazing body? Would the colour be blue like the blueness of your eyes? A beautifully romantic use of color, Simon.